Take a look in the mirror: what does your hair mean to you? Head cover or bald head? "Otherwise I would have become totally bald for sure"
This website is intended for patients with cancer who are receiving chemotherapy and for whom there is a chance of hair loss. Hair loss is a side effect of many types of chemotherapy. Everyone experiences hair loss differently. Some patients are not bothered by it, while others think it is terrible. 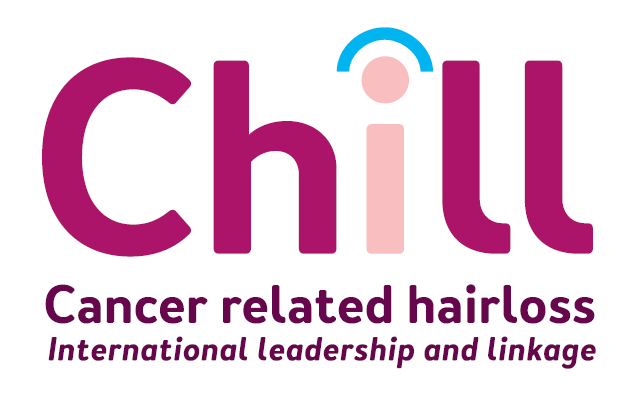 This website is intended for patients with cancer who are receiving chemotherapy and for whom there is a chance of hair loss. Hair loss is a side effect of many types of chemotherapy. Everyone experiences hair loss differently. Some patients are not bothered by it, while others think it is terrible. Scalp cooling can prevent hair loss. 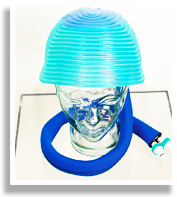 With scalp cooling, you wear a cold cap on your head during and after the chemotherapy infusion. By cooling the scalp, the cells that produce hair are protected from the chemotherapy. This reduces the chance of hair loss. Are you receiving chemotherapy? 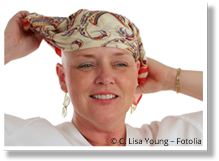 Then you have the choice of whether or not to receive scalp cooling during chemotherapy. The decision aid on this website can help you to take this decision. People decide in different ways, depending on what they think is important. 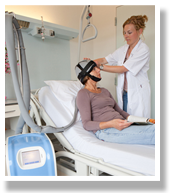 Whether or not you choose scalp cooling has no influence on the rest of your treatment. 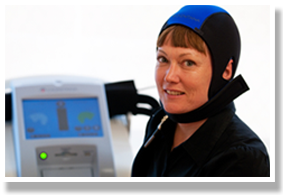 Start the decision aid to gain insight into the chance of hair loss with a certain type of chemotherapy, with or without scalp cooling. If serious hair loss occurs, you can choose to display this to the outside world, to camouflage it with a wig or to wear a head covering.